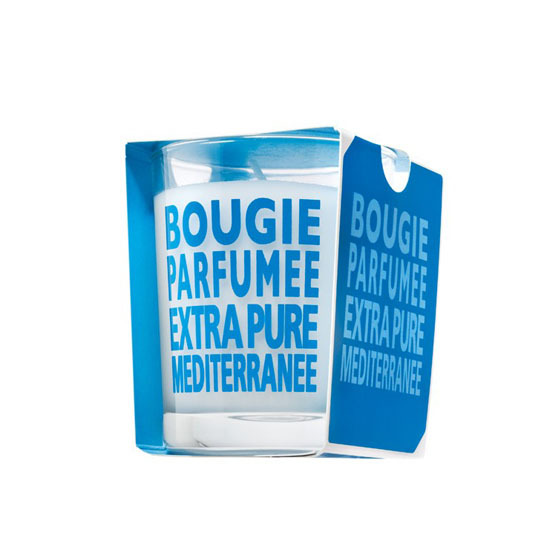 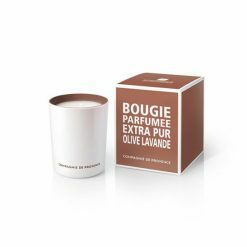 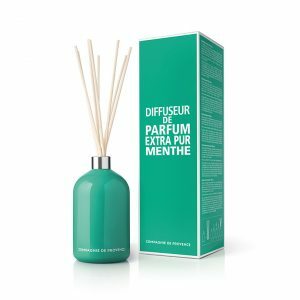 Compagnie de Provence is the first brand to reinterpret the traditional cube of Marseille soap and launch its liquid version. Characterized by an unusual urban style, our brand displays a sleek and contemporary spirit illustrated by clear lines and exclusive graphic designs. 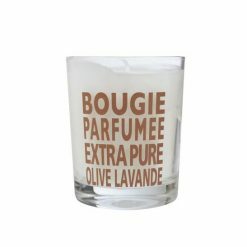 In France, our brand is sold through our 8 fully owned boutiques (of which 1 shop in shop) and approximately 300 retailers. 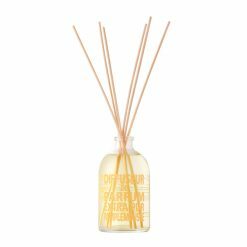 Our Summer Grapefruit fragrance diffuser will permeate the atmosphere in your living spaces with fresh citrus notes with touches of spearmint, geranium, thyme and orange blossom. 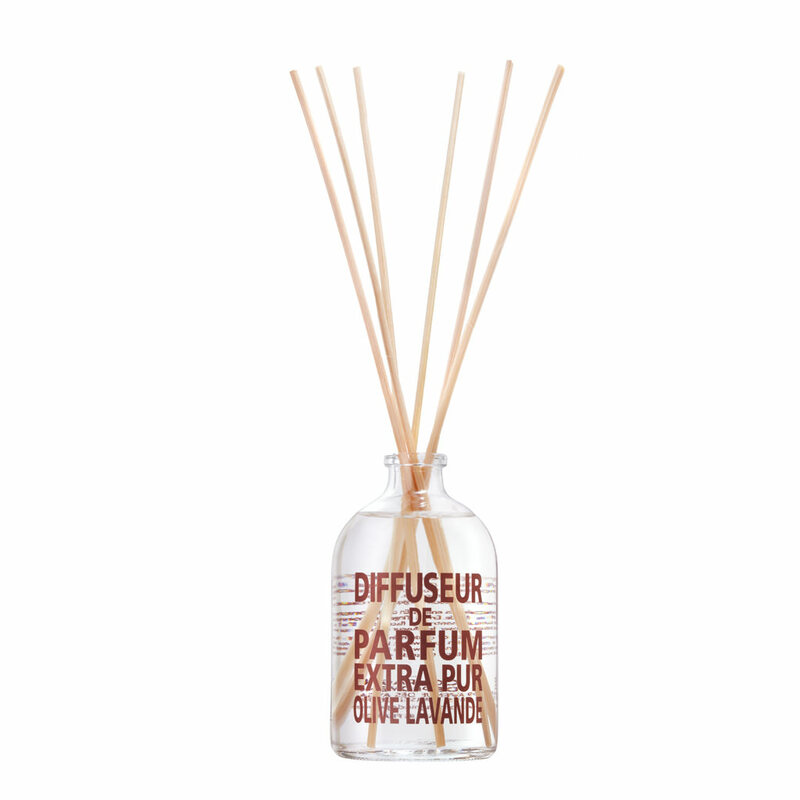 The fragrant oils will subtly diffuse over a 6-8 week period when sticks are left in the bottle. 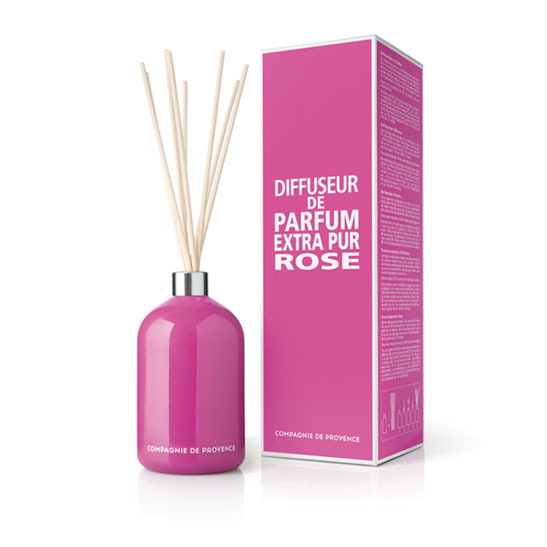 Rotate sticks as desired to enhance the scent. 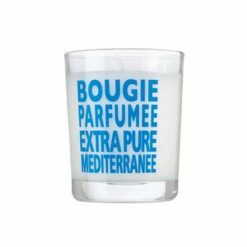 This candle is delicately scented with marine and sunny notes and is reminiscent of a trip along the Mediterranean coasts. Nestled in a translucent glass adorned with a sleek design, this candle is wrapped in a colourful case which endows it with a contemporary style. 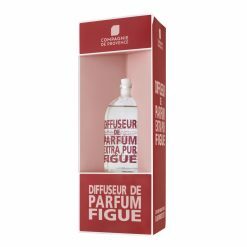 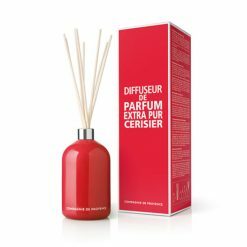 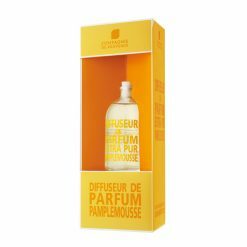 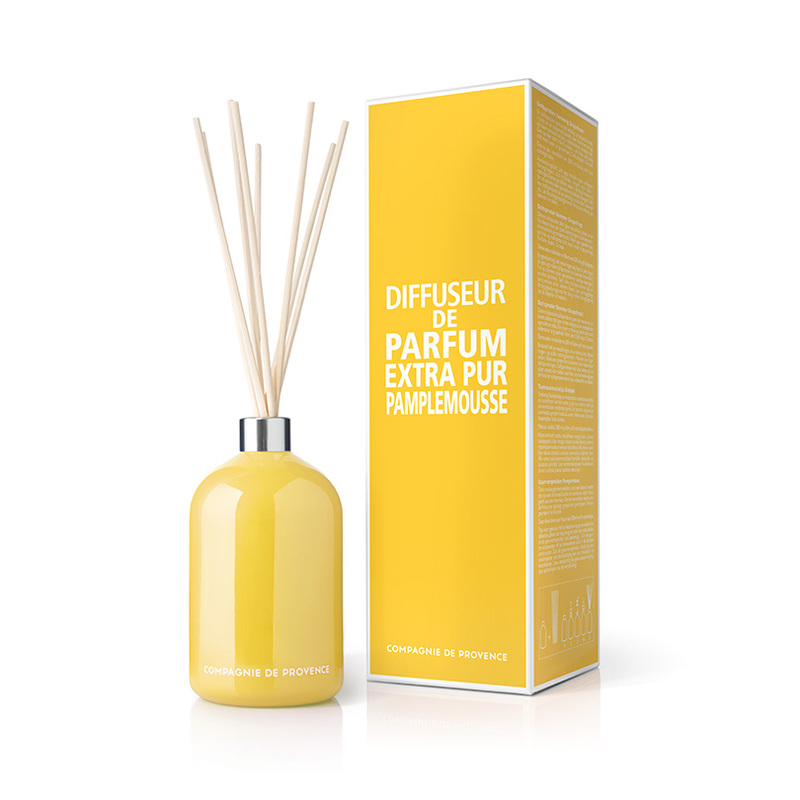 Its high perfume concentration ensures a wide diffusion and a long lasting effect throughout the house. 180 g Our Orange Blossom scented candles will remind you that as the magnificent white flowers of the orange trees bloom, their sweet notes are carried across southern France by warm Mediterranean breezes. Our orange blossom fragrance is a blend of citrus flowers, golden honey and jasmine. Enjoy 40 hours of burn time and always remember to trim the wick before each use to deliver optimal burn quality. Our Mint Tea fragrance diffuser will permeate the atmosphere in your living spaces with delicate aromas of tea, mint and fresh lemons. The fragrant oils will subtly diffuse over a 6-8 week period when sticks are left in the bottle. Rotate sticks as desired to enhance the scent.